Lali is from London, UK and has always been artistic, studying design at university, then working in marketing and as a creative art worker for various creative fashion brands. 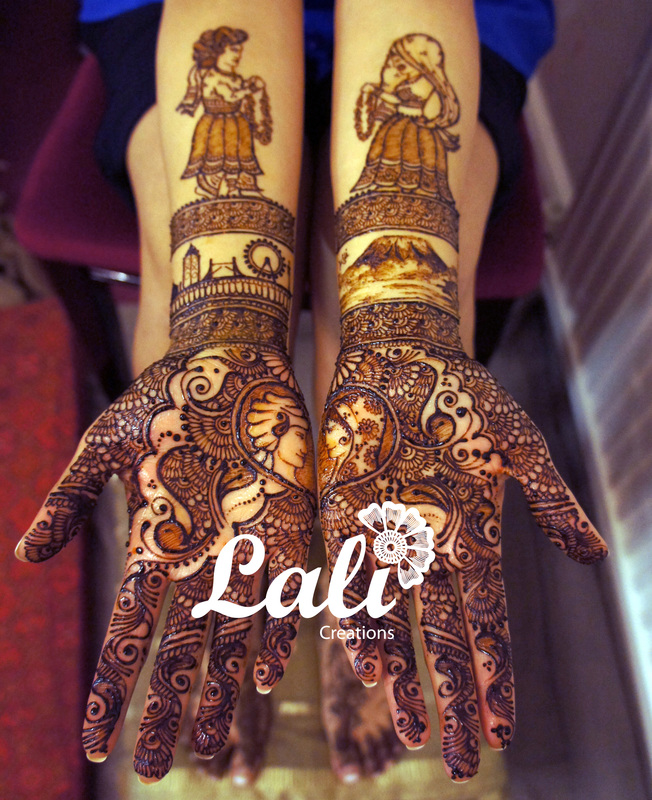 Lali recently started applying mehndi designs on to printed wedding stationery. Each item is handcrafted by her, and all the wedding stationery can be uniquely customized to suit an individuals requirements. She has taken the art to a much higher level! (In case if you’d like to see the other interviews with mehndi artists, click here, here, here, here, here,here, here and here). 1. Tell us about yourself – when did you begin doing this and how did you think of getting into this line. I started applying mehndi designs when I was very little, I remember using the old methods of applying mehndi, paste in a bowl and then using a match stick to apply it to the skin! I have always been into art, so the creative artistic side of henna has always been an interest to me. As I got older I enjoyed henna more and more. I remember when my cousins got married, their mehndi artist was so fast, and she had done the most elaborate design I had ever seen. I was so impressed with her skills. I trained with this artist about 5 years ago now, and it has been non stop since then. I am myself obsessed with chakra designs (manadalas)! I love symmetry and they are perfect for brides wanting a simpler design. 3. 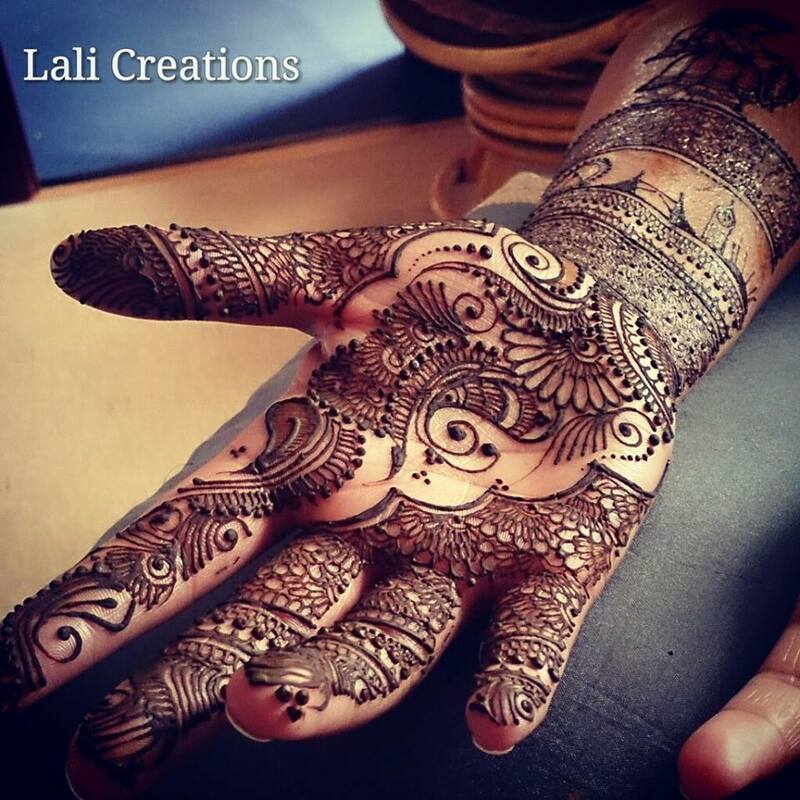 Most memorable experience you had while doing mehndi designs – something that has stayed close to your heart and is remembered very fondly? I remember my first “Arty” mehndi design. The bride had a very specific idea in mind, and wanted it told in henna. I remember it taking me so long to complete and I had prepped so much for it! She wanted the London skyline incorporated into the design, elements of her marriage proposal which are close to her and fiancé, and Mount Kilimanjaro. The figures on the top were particularly challenging as this was the first time I was doing full figures. I remember Ragvi’s henna the most as it was the first time I felt challenged in my design, and it made me happy that she was so pleased with the end result, having told her story well for her in henna. 4. 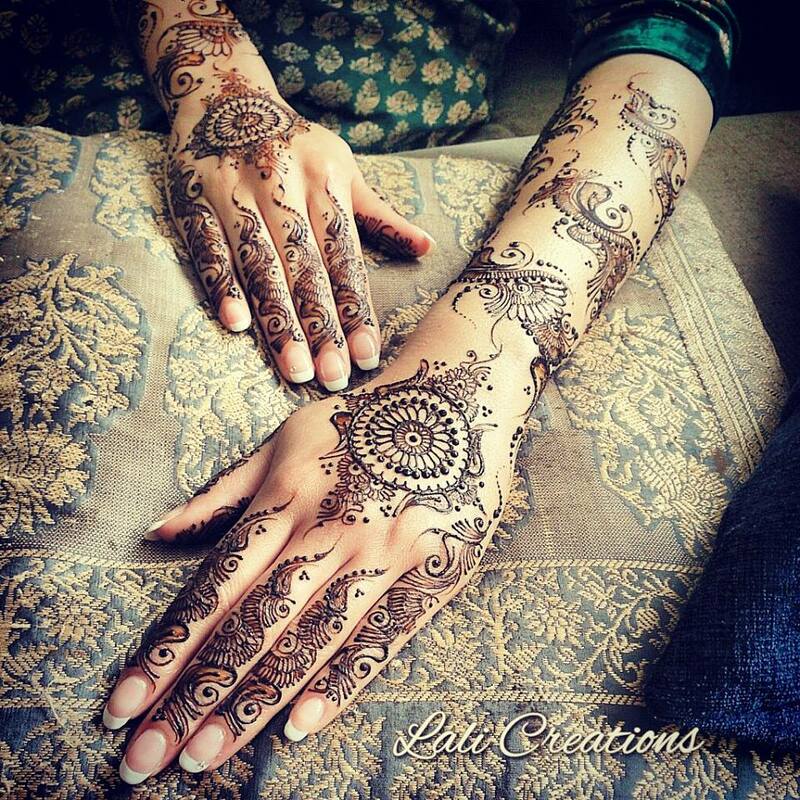 What are your most important tips to take care of mehndi design after applied? I usually recommend applying a solution of lemon and sugar to seal the mehndi design. This keeps it on the skin longer and will ensure a lovely dark stain in 48 hours. I also tell them to scrape off the henna before going to sleep, and then try and avoid contact with water. My contact details are all on my Facebook page. (Published with permission of Lali Creations. Please don’t use these images without permission from the original source). Click on the image to view them larger.